Better than The Secret and The Power! The Power put together; it was simple, practical and very realistic. A blind man can read it and be amazed! The DEFINITIVE Guide to the Law of Attraction! The DEFINITIVE guide to changing your life with the Law of Attraction! There is no better text on this subject - this may be the most important book you will ever read. You are By Far My Favourite Law of Attraction Teacher! Thank you Hemal!! I love your work and the way you word your teachings. You are by far my favourite Law of Attraction teacher!! your book and being a member of your group. this book goes so much deeper!!" You are a brilliant beacon of light and wisdom, Hemal. 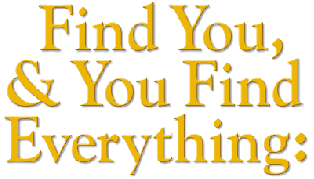 In my opinion, no one brings it like you in the Law of Attraction business. I finished reading your book a few weeks ago... and have to say it was amazing! Thank you. I understand LOA so much better now and use it everyday. The good news is that its working, its a great feeling:) Everything seems to be going in a flow effortlessly! So many other things that have happened recently..not thinking about the How? just feeling it! And like I had mentioned to you..everything is so effortless. I really 'feel' the flow.. Thank you again, hope to attend one of your seminars one day. You know, you have this wonderful way of really simplifying things that are usually interpreted as complex. You bite right through in to the heart of ease! The book is so very uplifting and healing on many dimensions! It keeps making me smile and releases some of the binds in myself and constantly brings me back to me, allowing me to drop some of my projections! 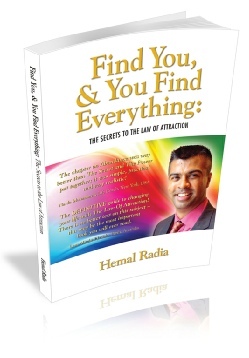 Hemal brings the principles of Law of Attraction to life, making them easy to understand and incorporate into your daily life. He brings a practical and 'easy' approach, making it a pleasure to work with him! I'd recommend Hemal's book to anyone looking to learn Law of Attraction and find joy, peace and abundance in their life! Thanks for your spectacular work. You've become my favourite Law of Attraction Expert (others have said it too, I know) - you express things clearly, simply and directly, plus you take time to navigate the more awkward points sensitively, without just spouting well worn answers. I recommend your book to everyone. We all appreciate you so much. Would you like to be an AFFILIATE for this book? Click here to join!